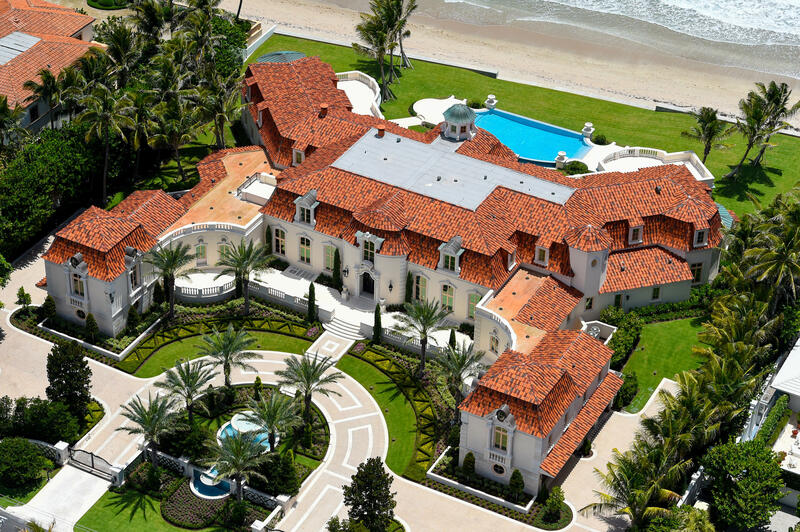 Magnificent Palm Beach direct oceanfront estate with a sprawling 242 feet +/- of beach frontage. Built by Hugh Davis in a French Normandy style, this one-of-a-kind custom estate includes 5 bedrooms, 7 full and 9 half bathrooms along with two fully appointed guest apartments and 8 car garage. The home offers 35, 000 +/- square feet of indoor and outdoor living space with ocean views from almost every room due to its perfectly thought out floor plan. An entertainers dream complete with library, home theater, wine room, fitness center, barber shop, and so much more. Breathtaking backyard with outdoor loggia, summer kitchen, infinity pool and spa overlooking the tranquil beaches of the North End. Waterfront: Directly On Sand, Oceanfront, Seawall Yes 242 +/- Ft.